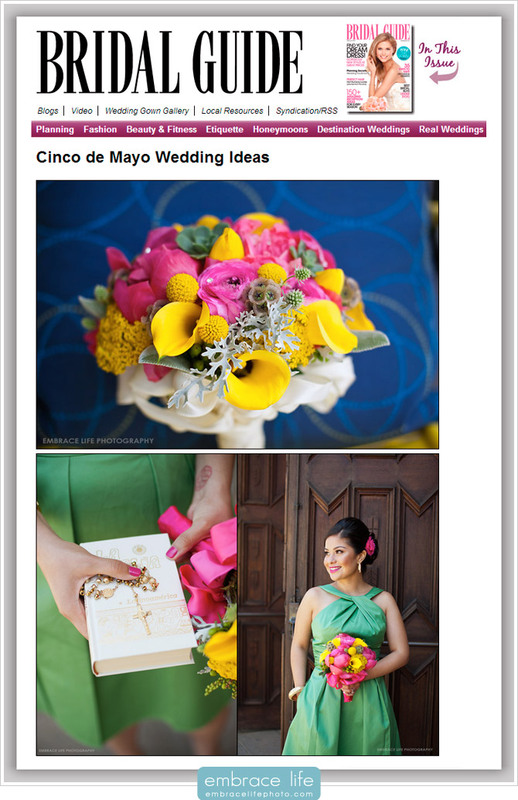 With Sunday being Cinco de Mayo, Bridal Guide had the great idea of featuring Mexican wedding photography ideas on their blog. The weddings are super colorful and festive! We’re stoked that Bridal Guide included our photographs of Paola and Miguel’s wedding at St. Anthony Catholic Church and the Museum of Latin American Art (MOLAA) in Long Beach, California. Take a look at the full post on their website, here.